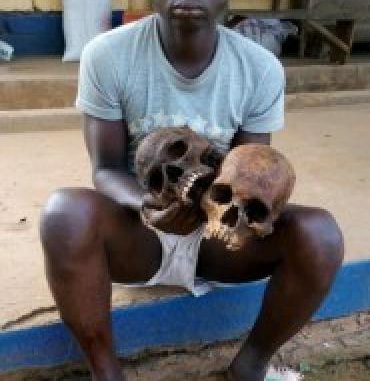 An Umlazi man was arrested by the Umlazi Police after he was caught by members of the public be in possession of two human skulls. The suspect was said to have been arrested at Umlazi C section on Sunday, October 2, at about 7pm. The state Police Public Relations Officer, Abel Mlaudzi, said the suspect was arrested by a police patrol team led by the Neighborhood Watch Committte, Moses Nesu, that was on routine patrol of the area. He said the state Commissioner of Police has directed that the suspect be transferred to the command headquarters, for further investigation. The skulls would be taken in for DNA testing and the police called on relatives any deceased who were buried at Umlazi Cemetery need to go and check if their loved one’s grave had been tempered with. Members of the public had to chased awa as they demanded the police to release the man into their custody.